Want to get your passion and purpose to pay with a practical plan and support? Now’s the time to create abundance in your life so you can help your family financially while you travel, give back, and live your dream. Design a business that reflects your truth and heart. Get clear on your message, ideal client and purpose so that you engage with the people you love working with. Create a plan that you can actually commit to putting into action that brings in a steady stream of clients. Finally monetize your dream and the lifestyle you deserve. Learn to design your business from joy and intelligent action rather than from struggle. Pair down all your options, details, and strategies into a simple set of focused steps that monetizes your business (while D/C’ing overwhelm + procrastination). Create your unforgettable and most audacious life! 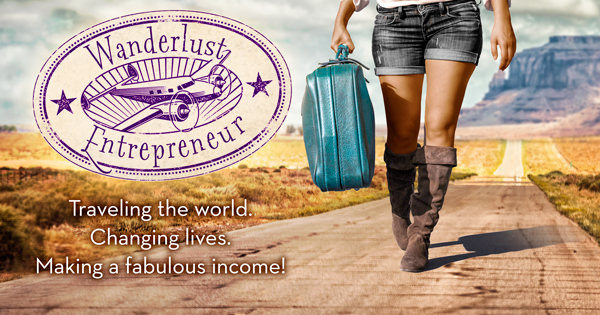 The Wanderlust Business Blueprint is best experienced as: a VIP day (or Intensive) to start followed up with our bi-monthly coaching program. Why? Because by unfolding your business one step at a time it eliminates stress, overwhelm + depression, keeps you focused, builds a solid foundation, and best of all – it gets RESULTS! If you want to know more about my philosophy on business, hop on over to read my article on The Top 10 Reasons Why Folks Don’t Create Viable Businesses. Feel free to email me with any questions you might have or make an appointment to talk about your goals + desires. If you could please fill out this application before our conversation – that will help me better understand your situation. “The time that I spent with Sheri during my personal intensive was truly life changing. Who would think that just four days would do that? I certainly wasn’t expecting the end result to be so powerful. Sheri has a direct but compassionate way of working with you that opens your eyes to what really is ~ without all of the emotion and dogma attached. “I’ve been around enough coaches and have experienced many who talk to you in a way that have made me feel like I have so far to go and have left me more overwhelmed than before I talked with them. That wasn’t the case with Sheri. 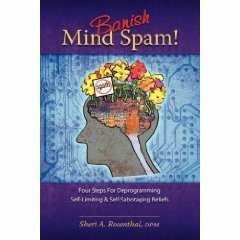 Sheri helped me to see some of my blind spots in my life – specifically how I was sabotaging my own success and she did so in a way that never left me feeling “less than.” I was able to see how the “stories” I had around my business were also affecting my personal life. Sheri was completely relatable and shared her own successes and struggles, which reminded me that I am not alone in this journey. Sheri has been a mentor and personal development inspiration of mine for many years. She has helped me understand myself, which is what allows me to create the life I dream of! My recent intensive with Sheri focused on taking my confidence and skills to the next level for my business. It seems there is no aspect of my life that Sheri can’t help me with! I am so grateful to know her.